Since 2003, Carrington’s Tree Surgery have successfully undertaken tree surgery operations for the homeowner and for the commercial sector throughout Essex. 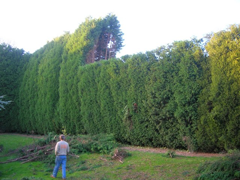 Carrington’s encompass all aspects of tree surgery, jointly putting the trees health first along with the clients requirements advising along the way to find the ideal solution. Carrington’s adhere to BS3998:2010 Recommendations for Tree Work. Whether you are seeking a complete renovation to your outdoor living space or require solutions to any aspect of your garden, Carrington’s can provide a wealth of ideas, expertise and a commitment to satisfy your requirements. 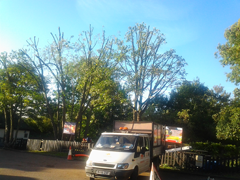 Upon completion of tree works, please inspect the work with Nigel or Lead Tree Surgeon to ensure everything has been carried out to our usual high standard. If this is not possible, please inspect at your earliest convenience.